4 What are cellulitis symptoms and signs? 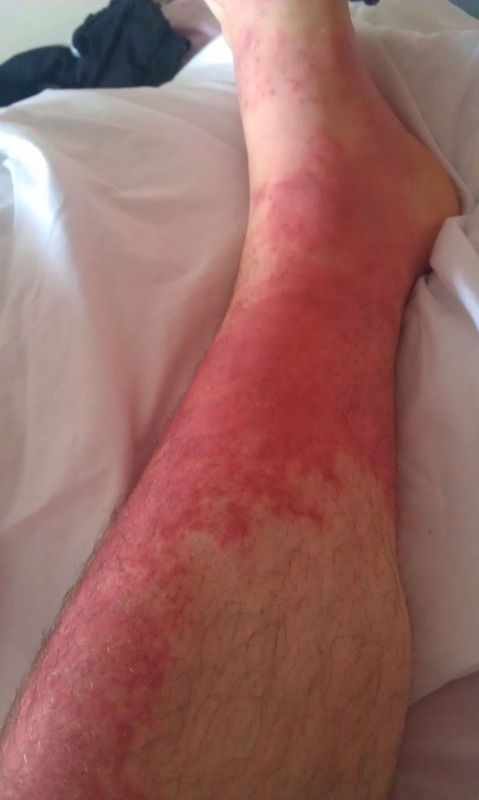 Cellulitis is a localized or diffuse inflammation of connective tissue with severe inflammation of dermal and subcutaneous layers of the skin. A skin infection caused by bacteria, usually caused by the group A streptococcus bacteria. Cellulitis is a bacterial infection of the skin and tissues beneath the skin. Unlike impetigo, which is a very superficial skin infection, cellulitis is an infection that also involves the skin’s deeper layers: the dermis and subcutaneous tissue. The main bacteria responsible for cellulitis are Streptococcus and Staphylococcus (“staph”), the same bacteria that can cause impetigo. MRSA (methicillin-resistant Staph aureus) can also cause cellulitis. Sometimes, other bacteria (for example, Hemophilus influenzae, Pneumococcus, and Clostridium species) may cause cellulitis as well. Cellulitis is fairly common and affects people of all races and ages. Men and women appear to be equally affected. Although cellulitis can occur in people of any age, it is most common in middle-aged and elderly people. Cellulitis is a spreading bacterial infection of the skin and tissues beneath the skin. Staphylococcus and Streptococcus are the types of bacteria that are usually responsible for cellulitis, although many types of bacteria can cause the condition. Sometimes cellulitis appears in areas where the skin has broken open, such as the skin near ulcers or surgical wounds. 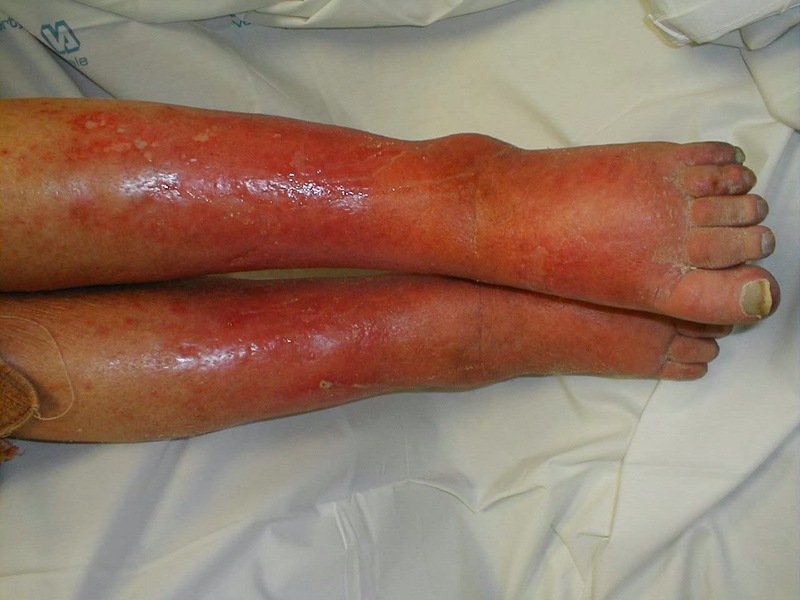 Cellulitis is treated with oral or intravenous antibiotics. What are cellulitis symptoms and signs? Cellulitis usually begins as a small area of tenderness, swelling, and redness that spreads to adjacent skin. As this red area begins to enlarge, the affected person may develop a fever, sometimes with chills and sweats, tenderness, and swollen lymph nodes (“swollen glands”) near the area of infected skin. Cellulitis is usually caused by an infection of the tissues beneath the skin after the surface of the skin is damaged. If the surface of your skin is damaged, this creates an entry point for bacteria, allowing them to attack the skin and tissue underneath. The break may be so small it’s not noticeable. Some cases of cellulitis can develop if a wound or other break in the skin is exposed to water that is contaminated with bacteria. A fungal infection is a much rarer cause of cellulitis. Fungal cellulitis usually only affects people with a severely weakened immune system, such as a person in the final stages of an HIV infection that is not responding to treatment. Cellulitis usually goes away after taking antibiotics for 7 to 10 days. Longer treatment may be needed if cellulitis is more severe. This may occur if you have a chronic diseases or your immune system is not working properly. People with fungal infections of the feet may have cellulitis that keeps coming back. Cracks in the skin from the fungal infection allows the bacteria to get into the skin.